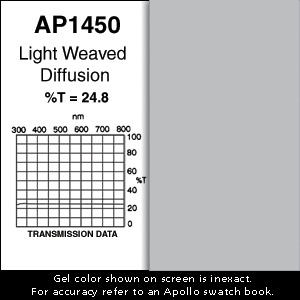 Possible Uses / Suggestions: Half version of AP1400. A very wide light diffusion. Still allows original beam of light to be visible. Good for distributing light into shade and softening gobos.